The granddaughter of Benito Mussolini has kicked off over a tweet about the late fascist dictator by comedian Jim Carrey. 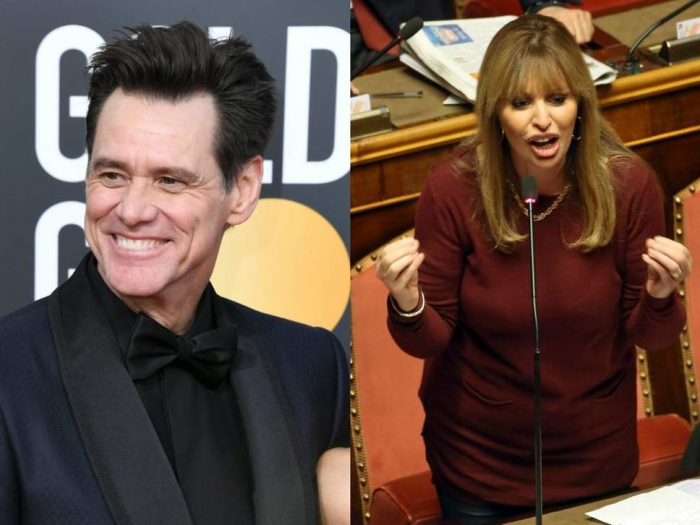 Alessandra Mussolini, who is herself a member of the European Parliament for the conservative Forza Italia party, called Mr Carrey a “b****rd” and then proceeded to insult others who intervened in their conversation. “If you’re wondering what fascism leads to, just ask Benito Mussolini and his mistress Claretta,” Mr Carrey had said in a post on Twitter – next to a drawing of the pair hanging upside down. In the dying days of the Italian fascist state the dictator and his mistress were shot by partisans and later had their corpses suspended from the awning of a petrol station so they could be abused by onlookers. Ms Mussolini replied directly to the comedian on Twitter: “You are a b*****d” – before firing off dozens of tweets to Twitter users who criticised her, including “f**k you and your parents and their parents you piece of human garbage”. She also sent another message to Mr Carrey: “Hi @JimCarrey do you know the history of #RosaPark?” – an apparent reference to US civil rights hero Rosa Parks. It is unclear why Ms Mussolini mentioned the campaigner. Ms Mussolini continued to post messages for hours after other Twitter users piled in to criticise her. She goaded anti-fascist campaigners, adding: “The #antifa Americans are perhaps more boring than our own: certainly more touchy”. Ms Mussolini is the daughter of Romano Mussolini, the youngest son of the dictator. She is a former member of the Italian senate and also its chamber of deputies. It is not the first time Benito Mussolini’s legacy has caused a stir in Italian politics this year. In March the leader of the European Parliament, who is from the same party as Ms Mussolini, faced calls to resign after praising the dictator on the radio. Antonio Tajani said he was “not a fascist” but that the former Italian leader had done “positive things”, adding: “We must be honest, he built roads, bridges, buildings”. Former Italian prime minister Silvio Berlusconi caused controversy in 2013 when he praised the late dictator on Holocaust memorial day.